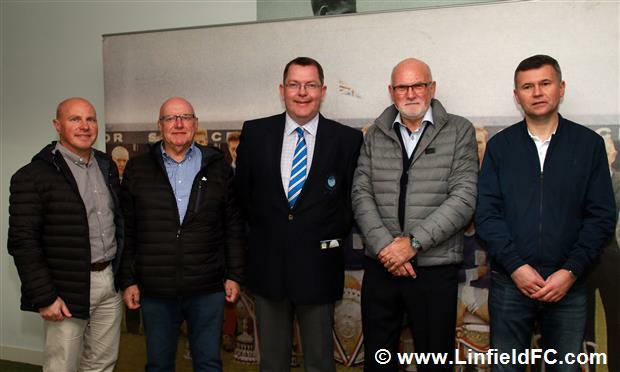 The appreciation of everyone at Linfield FC is extended to our welcome match sponsors at yesterday’s Windsor Park game against Ballymena United. 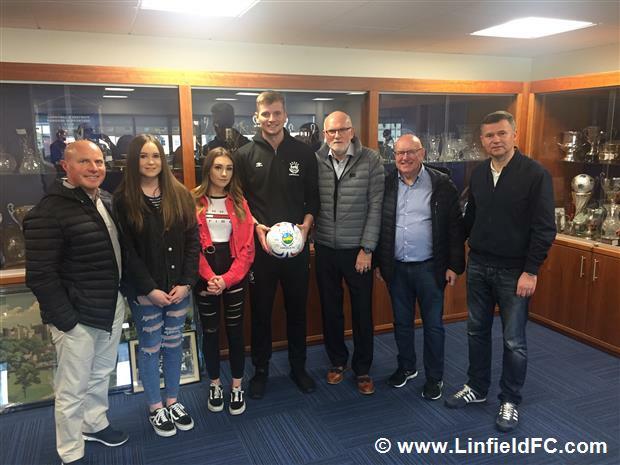 Below are several images of David Sales of Technical metals with his son and Linfield Vice President also named David Sales and their guests. 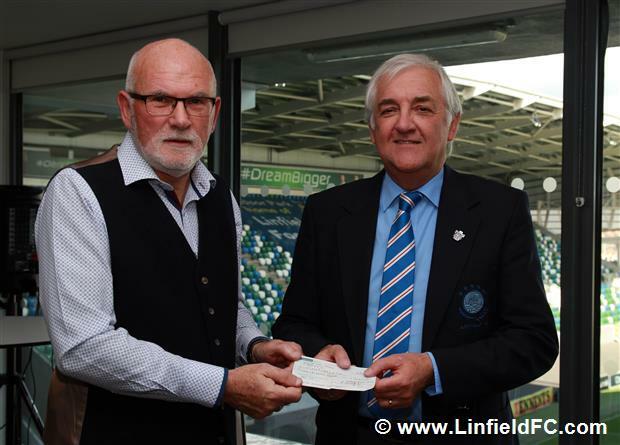 Firstly David Sales presents the match sponsorship cheque to Linfield director Paul Weir. Secondly, David Sales senior and junior with guests and Linfield Vice chairman Jonathan Wilson in the Tommy Dickson suite. Finally, Cameron Stewart with David Sales senior and junior and guests in the Linfield office in the Railway Stand. 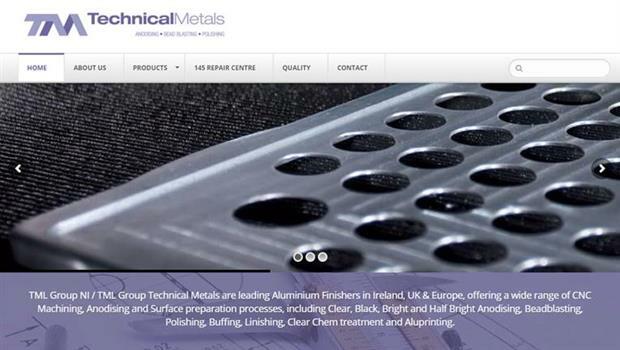 The company was established in 1984 and is based at Kiltonga Industrial Estate in Newtownards. It supplies a range of products and services to local and international companies including the Aerospace Industry, Defence, Telecommunications, Electronics, Computer, Pharmaceutical, Street Furniture, Architectural, Wind Turbine and General Engineering sectors. The company’s expertise in these areas is gained from many years’ experience servicing customers both internationally and locally. 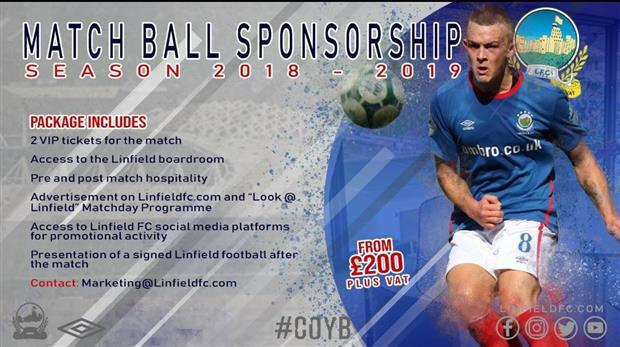 Linfield FC has a range of sponsorship and advertising opportunities available for local businesses. 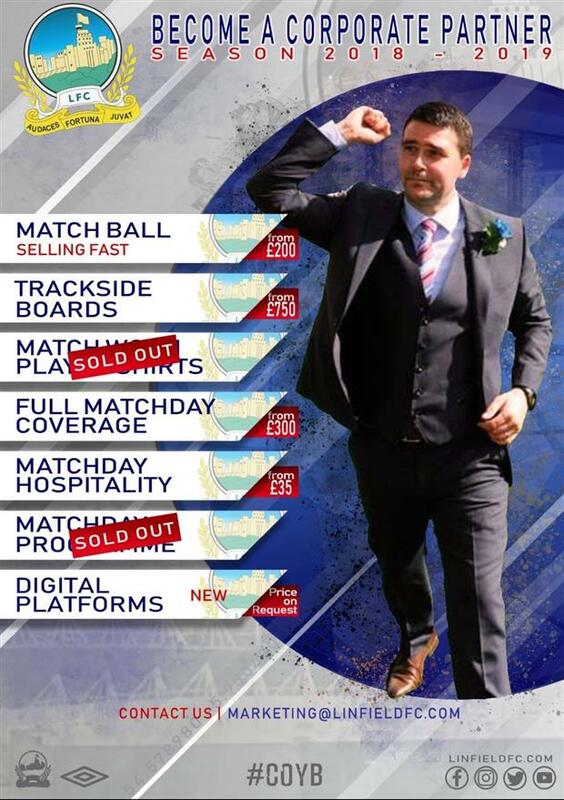 Please contact the Sales & Marketing Director Stephen Dickson for further information or contact the club on 028 90244198 for a copy of our 2018/19 brochure.